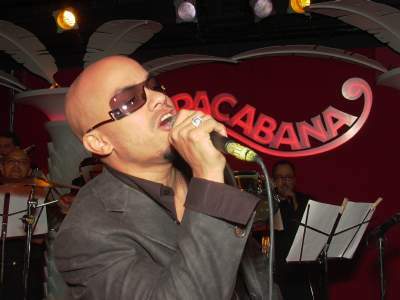 Michael Stuart played at the Copacabana Nightclub in New York City on September 20, 2003. Marc Anthony was celebrating his birthday in the company of family and freinds. Some of his more recognizable guests included P. Diddy , Donald Trump, and Johhny Pacheco. Marc Anthony was called on stage, by Michael Stuart and the cheers of his adoring fans, and sung a song and declared his Love for his wife. 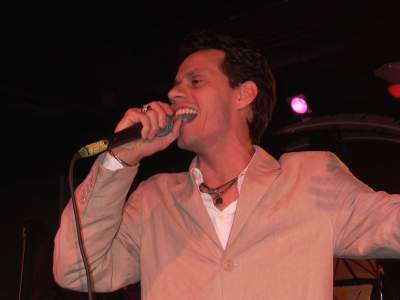 These photographs were taken by J. Fernando Lamadrid on September 20, 2003 and are copyright 2003 www.justsalsa.com. All rights reserved. Your feedback is welcome. Enjoy!